There are a few automotive YouTube channels dedicated to doing crazy things with cars and answering questions that nobody asked. The latest to get into the game is Bug Bmx, and he’s worked his magic again by putting a new set of truck wheels on a Honda Accord. Why? Because why not?! 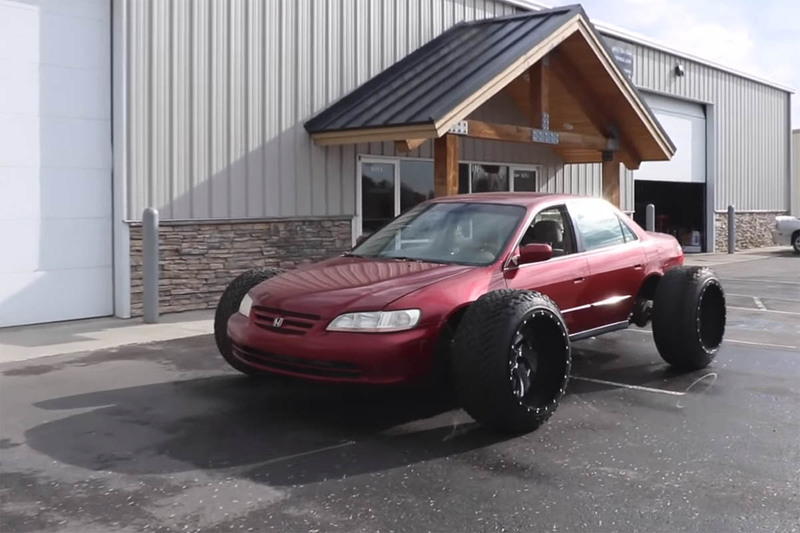 The concept is rather simple: take an old Honda Accord, get some monster sized truck wheels, install them on said Accord, and drive! The execution was a bit more difficult. 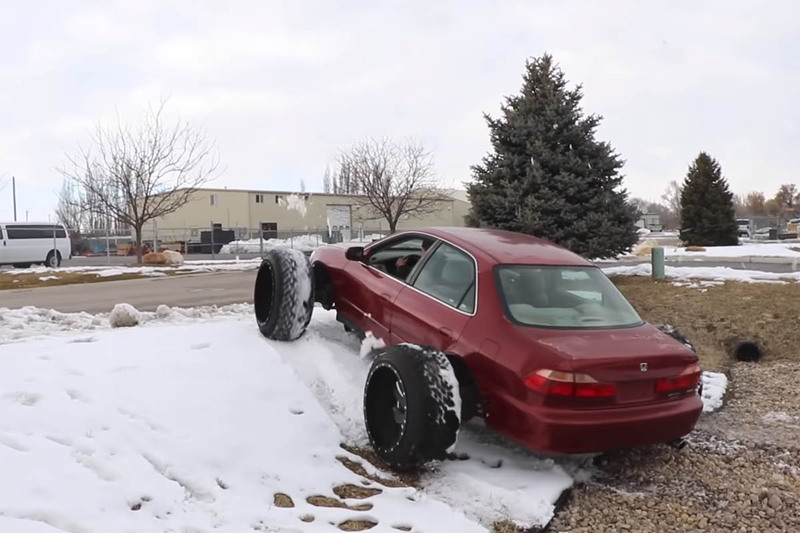 Due to the size of the 24 x 16 Fuel truck wheels and 37-inch tires, some modifications had to be made to the Honda Accord. So, Bug Bmx fabricated 12-inch steel tube spacers and hubs in order to have the truck wheels fitted away from the fenders and not damage the body. After the new Fuel wheels were installed, they drove out of the garage and up a snowy hill, with onlookers staring and taking pictures at the absurd looking car. 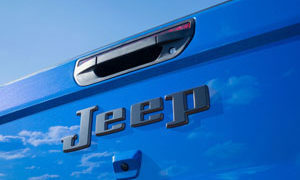 After some driving, the transmission began to have some issues and the car had to be retired. In the end, the experiment was successful, whatever it was. 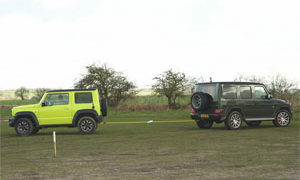 Watch the Jimny vs AMG G63 in a Tug of War of Truck Wheels! 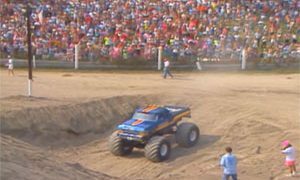 Watch Bigfoot Use Monster Truck Wheels to Climb!